Welcome to episode 0 of The Flash Podcast! 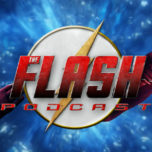 On this episode, you get introduced to your main host Andy Behbakht and how The Flash Podcast is going to work, what it will cover in its Season 0 and much more. Remember to tune in for the first appearance of Barry Allen (played by Grant Gustin) in episode 8 of Arrow, “The Scientist”. It will air this Wednesday (December 4), 8/7c on The CW. 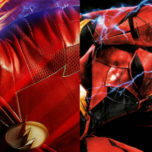 If you want to see some images as well as a trailer and description for the episode, head over to flashtvnews.com which is a great source for news and updates about Barry Allen on Arrow as well as his spin-off. Make sure to follow the podcast on Twitter @TheFlashPodcast.